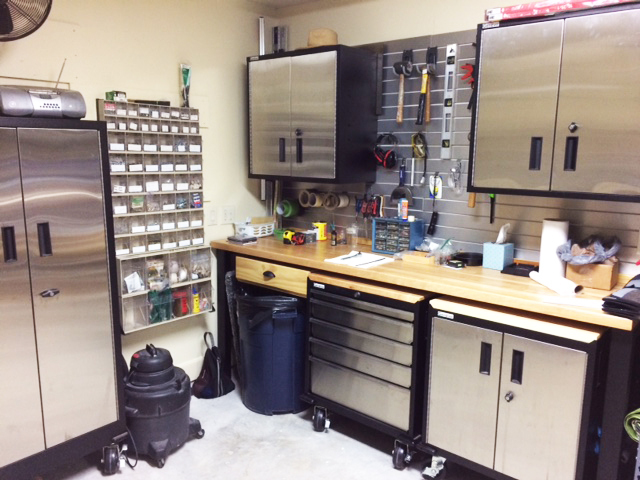 These Stainless Steel Garage Storage cabinets come in a wide variety of styles, this allows you to quickly maximize storage capacity in your garage or work space by utilizing wasted space on the wall while having a look that only a stainless steel can provide. 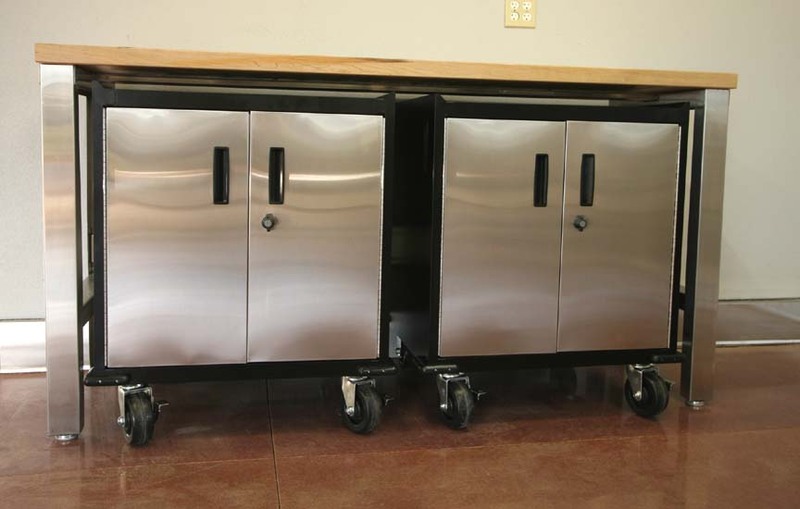 Stainless Steel doors are the keynote in these cabinets. 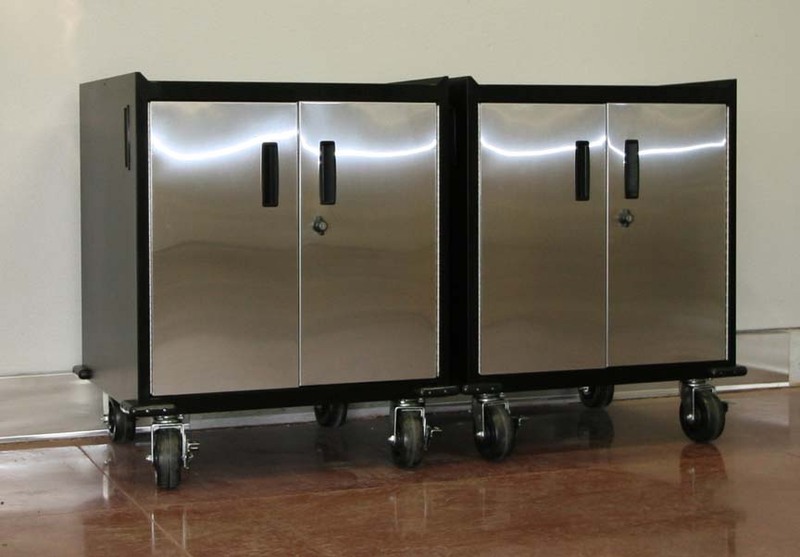 The doors are made out of 304 grade stainless steel, the stainless steel contains 18% chromium and 8% nickel. 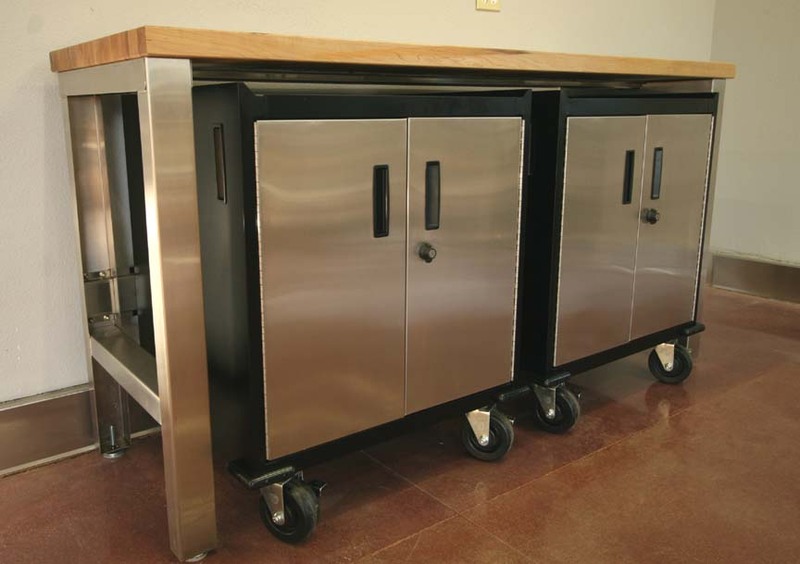 Very strong stainless steel, perfect for use as doors and for the ease that they can be welded. 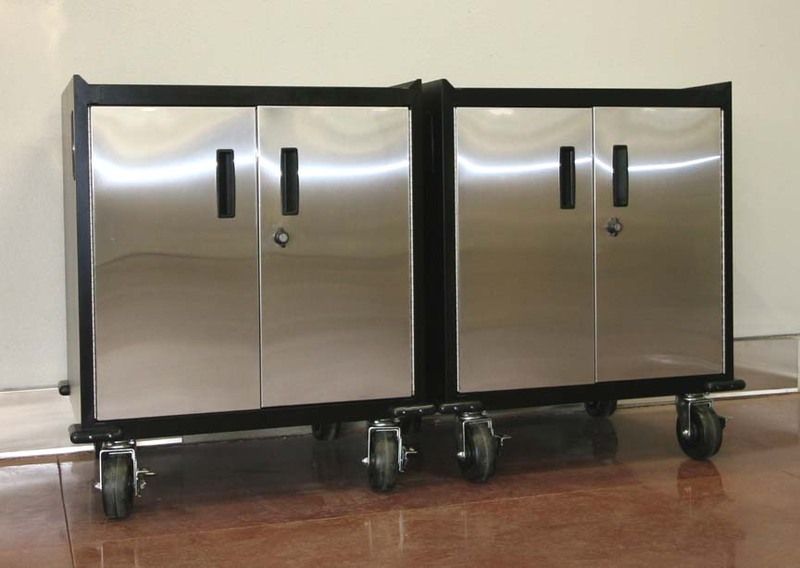 This allows these doors to take a lot of punishment without having to worry that you are going to dent them. 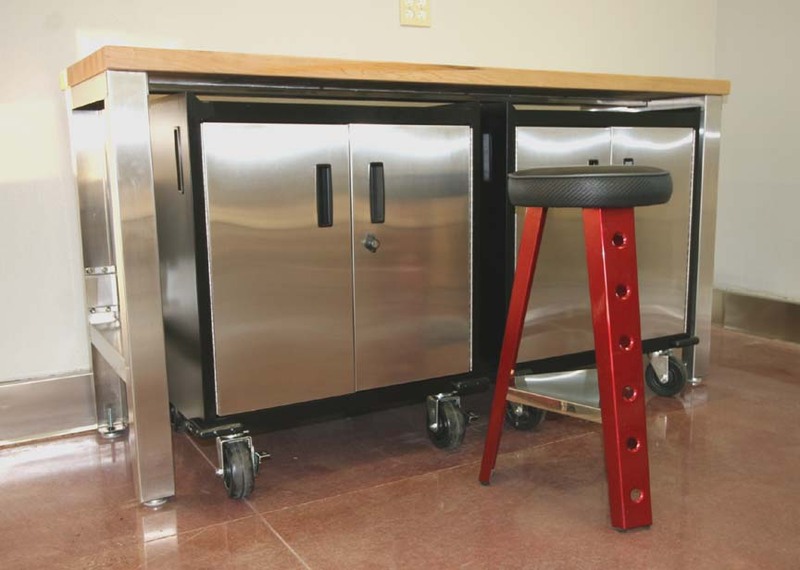 They will keep their shine as long as you own the cabinets, if kept clean. 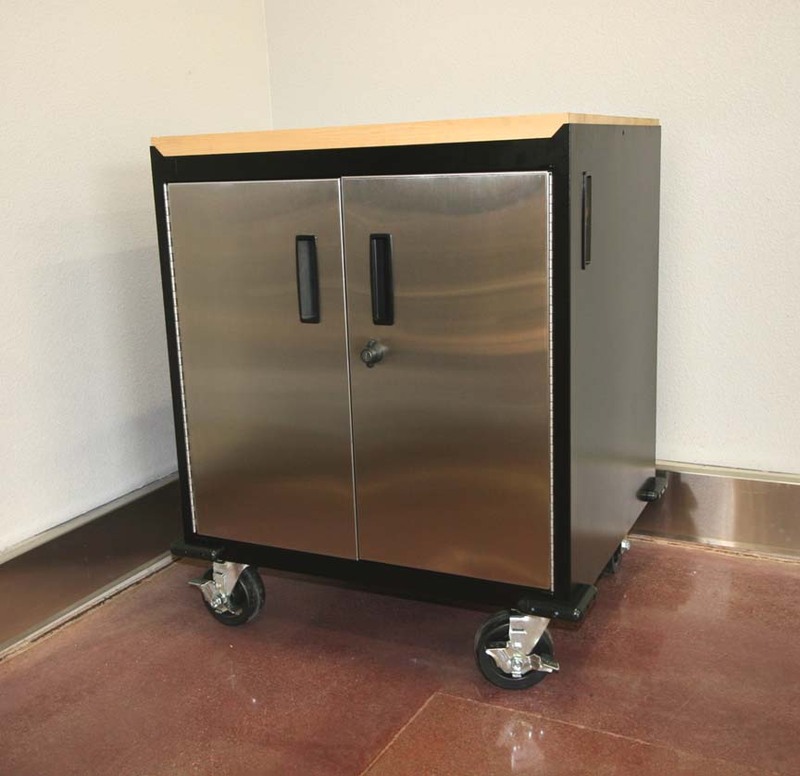 Stainless Steel Garage Storage cabinets have prime cold rolled steel for the construction of the box and are fully welded for strength and rigidity. 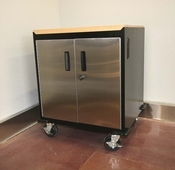 The bodies are then washed in a phosphate bath and electro-statically powder-coated with a high quality finish that is formulated for industrial applications to resist chemicals typically found in most garages and work shops. 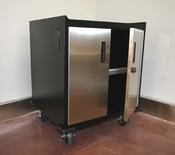 Built right here in the United States of America, right down the street from Car Guy Garage Headquarters, these Stainless Steel Garage Storage cabinets are made and assembled and shipped out from the Chicagoland area.